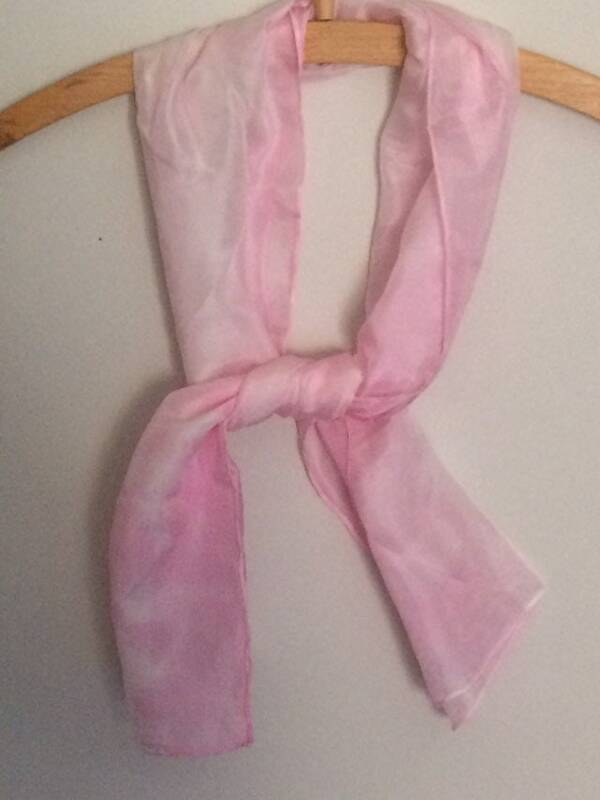 A hand dyed silk scarf in pale pink slightly ombré style. The scarf measures 11” x 43” and is made from a floaty lightweight silk ponge 5. 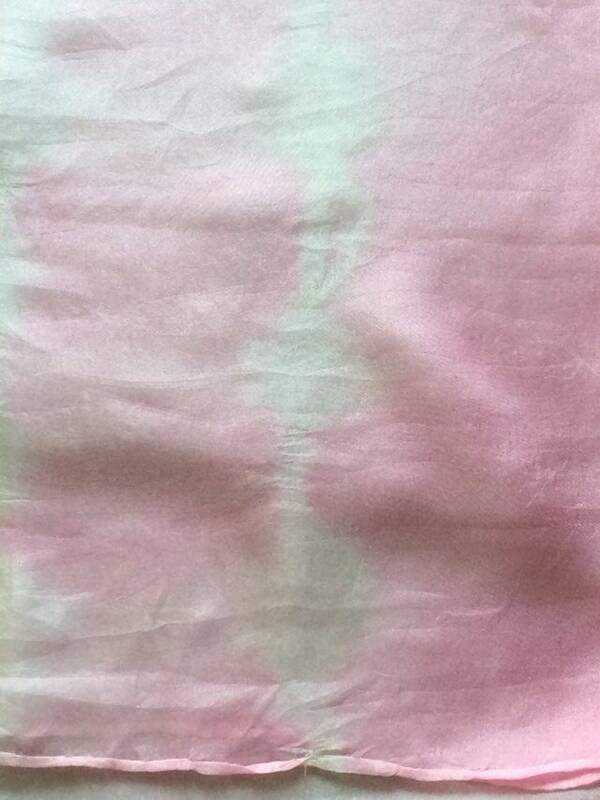 The colour is very pale pink, slightly darker at each end - a very subtle gradation of colour throughout.